It will have been the longest pre-game show in a while in Ontario. The team Captain of the home team just announced her starting line up a week ago. In a twist of a regular hockey match there will be two other teams on the ice. One has been busy putting out line combos that could represent what the new home team would ice as a team while the other seems to have been watching everything from the benches. The puck is set to drop on February 19th on Queens Park. Its said politics is more like hockey than it is ballet; in Ontario it has been a bit of both since Dalton McGuinty prorogued Queen’s Park (read my October 16th post ‘Gone? Not Really…). The Ontario Liberal party has been on tiptoes on major issues, going so far as to not barely talking about ORNGE, Gas plant closure/movement and eHealth during the leadership race and debates. On Tuesday the ballet slippers come off and the skates are on. In Ottawa we’ll be watching if the Energy portfolio is Bob Chiarelli’s undoing as a Minister and an MPP, he’ll be responsible for the $1 Billion plus move of two gas plants, just to save a government from defeat and a Green Energy Plan that is having people see red. I’ll be keeping an eye on freshly minted Labour Minister Yasir Naqvi; he’ll now wear the chain of office call Bill 119. His bill will cost small companies and organizations in Ottawa Centre and Ontario more money to support an outdated and poorly run WSIB. The Liberal way of gathering more money and throwing it a problem is not the fix needed for the WSIB and our employees who have been denied support. While as President of the OLP he was able to escape the some responsibility for the problems of the Ontario Government, he now has no escape from accepting the accountability that has put Ontario in the hole, downgraded, jobless and looking for federal handouts. In “Gone? Not Really…” I wrote that “Ontario will not truly be ready to be a leader in Canada until McGuinty is REALLY gone as is the Liberal Party of Ontario as the governing party.” With a McGuinty Minister now as Premier and the Health Minister also serving as Deputy Premier, it looks like the Liberals will be icing the same team as before. Drop the puck already, can the gloves for far behind? This entry was posted in Ontario and tagged Bill 119, Bob Chiarelli, Ottawa Centre, Queens Park, WSIB, Yasir Naqvi on February 17, 2013 by redheartbluesign. Are the Liberals ready to govern? Today marks the Chinese New Year, The Year of Snake – the year of financial success. 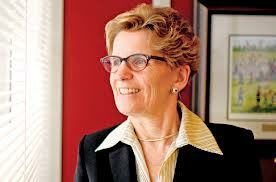 Tomorrow marks the swearing in of Premier-Designate Kathleen Wynne and her new cabinet. This leads to one question – are the Ontario Liberal FINALLY ready to govern? It has been clear since the October 2011 election that the McGuinty led Liberals did not want to govern as a minority as they tried to push the opposition around and act as a majority, finally taking that step by proroguing Queens Park last fall only to govern without any accountability for their actions. Following the leadership convention at the end of January small signs have been sent that maybe, just maybe the Liberals are ready to listen to the opposition. We will have a good idea if this will happen when Kathleen Wynne announces her cabinet tomorrow at Queen’s Park. Ms. Wynne has already stated that she will continue the McGuinty legacy – this is NOT good news for the hundreds of thousands of Ontarians that are out of work. Just how Ms. Wynne will govern will be heard when all MPPs return to their seats on Tuesday February 19th with the speech from the throne. Whether the Liberal’s embrace bold ideas from Tim Hudak or more spending from Andrea Horwath will determine how long this government lasts. Questions also will abound with two seats becoming empty on the government side next week with Dwight Duncan and Chris Bentley resigning leaving the minority a bit shakier. I am interested to see how the government will look with the former Premier sitting and observing from the back benches, or if the MPP from Ottawa South will even sit in his newly assigned chair. Many questions abound heading into the next weeks in Ontario. The answers will come when we see which way the government sways. I can be found Twitter @robertdekker, on Facebook at http://tiny.cc/n5l97 and at www.robertdekker.ca. Please follow me and send your thoughts on this and other posts. 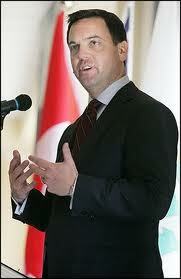 You can email comments, ideas and your concerns to me at rob@robertdekker.ca. This entry was posted in Ontario, Uncategorized and tagged Andrea Horwath, Kathleen Wynne, Queens Park, Tim Hudak on February 10, 2013 by redheartbluesign.